Hilton Hotels is known for both their affordability and their luxury. They have over 5,200 locations around the nation ranging from affordable family style hotels to 5-star luxury resorts. Their rewards program, Hilton Honors, gives their loyal customers a way to earn points and receive exclusive rewards for stays. It’s a valuable program that can give members a chance to stay free nights at their locations. Currently their Hilton Honors American Express Card come with a 100,000 point bonus after meeting their minimum spending requirements. This is the highest bonus given yet, so if this card has sparked your interest be sure to continue reading this post to find out more about it. 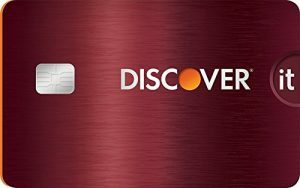 With this card, customers get a chance to receive a 100,000 point bonus after they spend $1,000 in the first 3 months of receiving the card. The estimated value of this bonus is around $500! (Each point is valued around 0.5¢) These points can go straight to your next stay giving you a discount on the total cost! If you’re patient enough, you can search and look for certain locations where they can value points up to 2¢+ each! You can find countless locations to spend your points on with the Hilton Honors rewards program. If you’re a frequent traveler for business, you can find low cost hotels where you can get the best bang for your point! For example, if you were to stay at the Hampton Inn & Suites Holly Springs, a single night can cost you around $190. However, whenever you use your points, it will only cost you 10,000 points valuing each of your points around 1.9¢! This is a long list to look through to make sure you find the best hotel that suits your needs. Another plus to their rewards system is that they allow you to pool up your points with up to 10 other members such as friends or family. Up to 500,000 points can be transferred with each other in a year, making it easier to extend trips or help upgrade any other members hotels. Additionally, you can partially pay for stays using your points. For example if you don’t have enough points to use for your entire trip, you can use whatever amount of points you have left then pay for the rest with your money. Hilton strives to make their system the most practical and easy rewards system on the market. Since Hilton doesn’t offer a rewards chart, you’ll have to manually search for stays on their website. 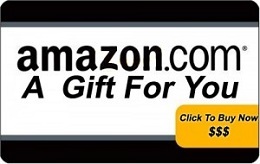 Thankfully their website makes it super easy to search for the best deals in your locations. 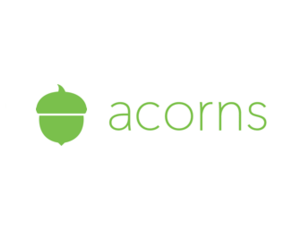 To find the best deals via points, simply search for your desired location and it’ll give you a list of their hotels in the area across all their different chains. By default the price will be shown in dollars, but you can simply change that by changing your price setting to points in the top right of the page. 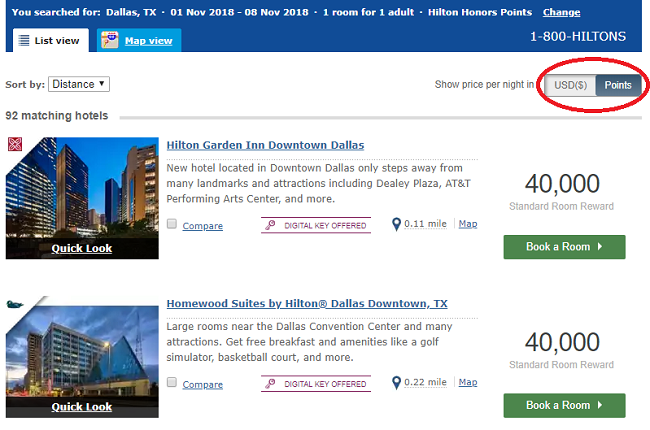 This makes it easy to compare the prices between different hotels. 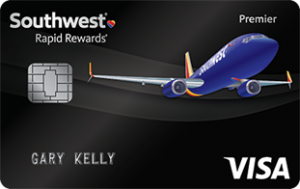 When you sign up for this card, you’ll receive complimentary Silver Status. This status gets you a 20% point bonus on top of the base bonus points you’ll earn at Hilton Hotels. That’s on top of the 10 Hilton points per $1 you get as a Hilton Honors member by booking your room directly with the hotel, and 7X points per $1 you earn by using this card for the reservation. So altogether, you can expect to earn 19 Hilton points per $1 at Hilton hotels! Additionally, you’ll receive Hilton Honors Gold status if you spend $20,000 on eligible purchases with your card in a calendar year (valid through the end of the next calendar year after it’s earned). That comes with all the Silver Status benefits, but better! For example, you’ll get an 80% bonus on base points for staying at Hilton. As well as free breakfast at Hilton hotels, and room upgrades when available. 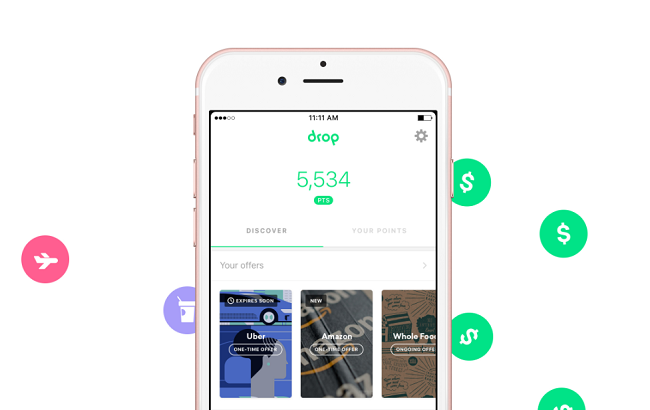 ShopRunner is a 3rd party store app that gives customers free 2-day shipping as well as free returns on over 140 online stores. Memberships usually cost $79 annually, but you’ll get it for free for being a card holder. 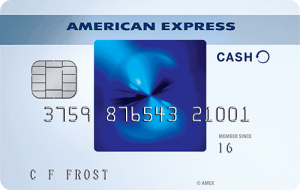 Amex offers allows card holders a chance to earn points or credit statements on special offers when you make qualified purchases with partnered brands. It’s a great way to save money when an offer comes up on a brand you want. 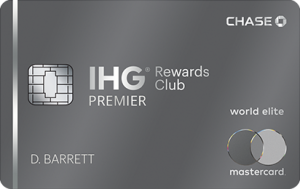 Despite the benefits and rewards, the Hilton Honors American Express Card has a $0 annual fee. If you’re out of the country a lot, this benefit will be perfect for you. 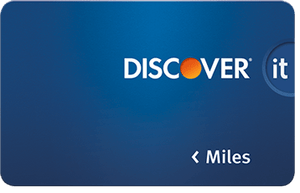 Apply now and you can receive their Hilton Honors American Express Card 100,000 Point Bonus when you reach the spending requirement. 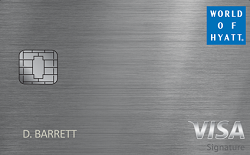 The card receives Complimentary Silver Elite Status that has a bonus on points earned on purchases to Hilton Hotels. 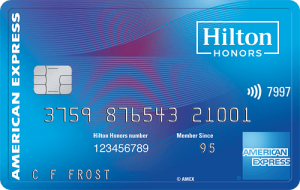 If you’ve been on the lookout for a traveling rewards card, the Hilton Honors American Express Card is a perfect match for you. 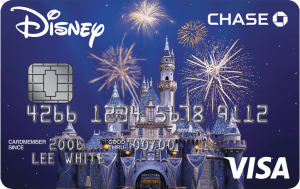 It’s a terrific card that has a $0 annual fee and no fees on foreign transactions making it perfect for those who travel often. Seriously consider getting this card if you’re in the market for a new card.